In south-west France, the ultimate Christmas dish is oysters served with a crépinette (sausage patty). If you do not have any crépinettes, you can just use widely available chipolatas. Brown the crépinette or sausage (in a pan or under the grill), drain off and serve hot. Serve on a separate plate to the platter of Marennes-Oléron oysters. 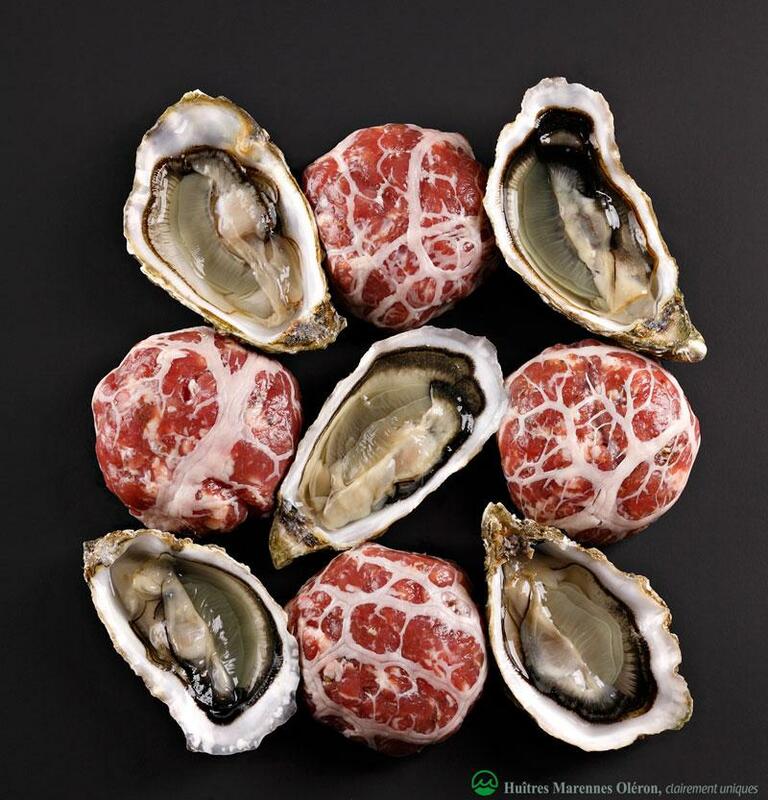 Chipolatas can be crumbled onto each oyster just before eating. ‘Pousse en Claire Label Rouge’ Marennes-Oléron oysters provide texture and meatiness to this cheeky pairing. ‘Fine de Claire Verte’ Marennes-Oléron oysters could also be served for a flavour contrast pairing the safety of the land with offshore iodine notes.